This was the house before. This was taken in the late fall, so the dead plants definitely make it look worse. The color scheme, symmetrical bushes, and shutters looked straight out of the '60s. We were itching to paint it all of last winter. The inside was so warm and charming, the outside did the house no justice. 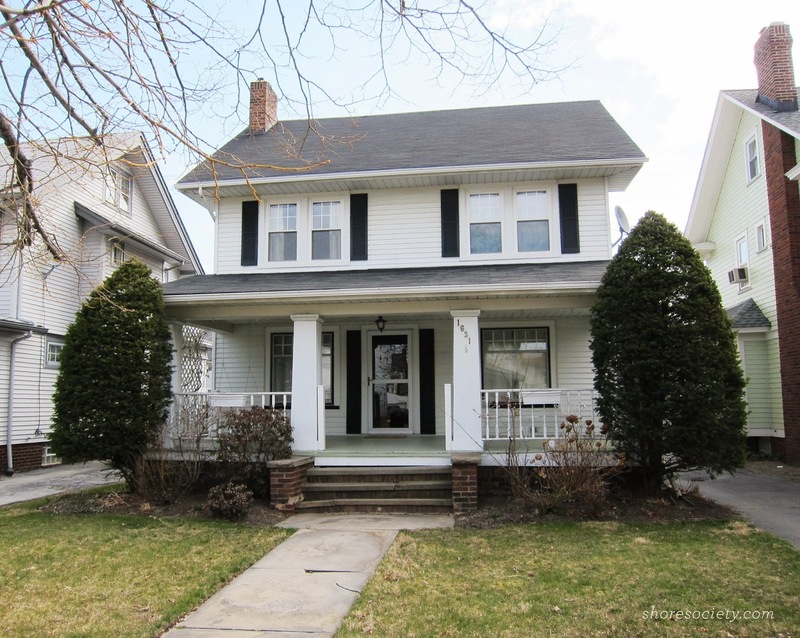 In fact, when we did our first drive-by, Jim pulled up in front of it and I said "oh my god NO" (this was in our "choosy" phase of house shopping, which is a post for a different day). But remember kids – when it's yours, you can change it! 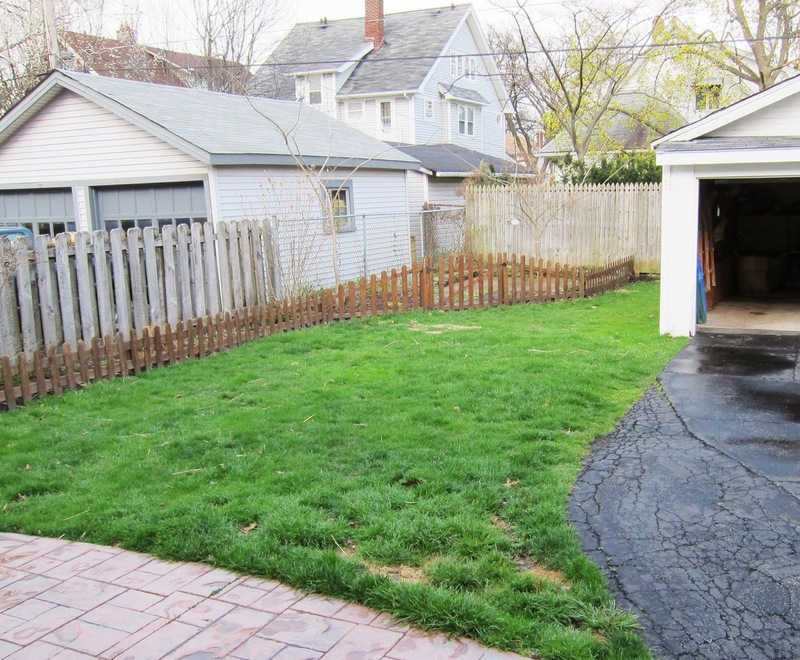 A big, pointless concrete "patio" of some sort in the back of the yard. 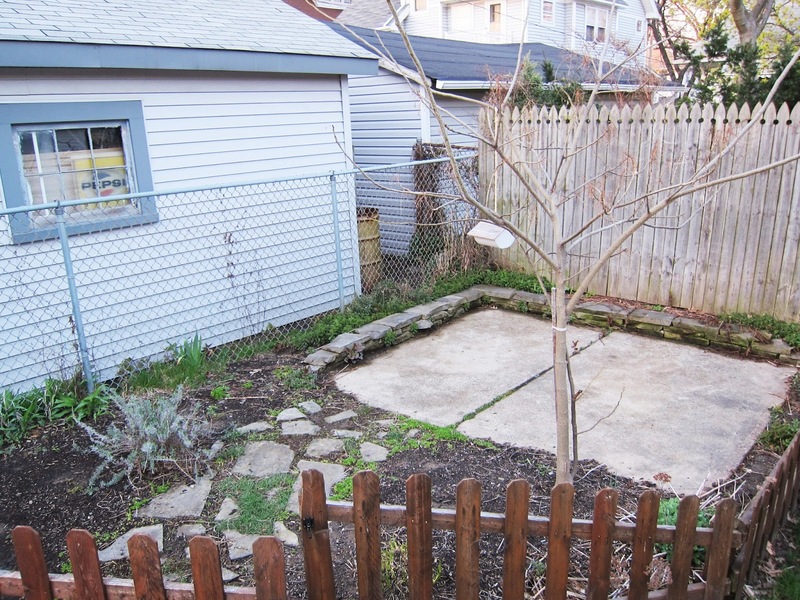 The baby fence had a gate that opened up to this space and the previous owners had an adirondack chair on it. It had been there for years, so I'm sure they were just trying to make the most of it, but...just rip it out. Which is what we did. 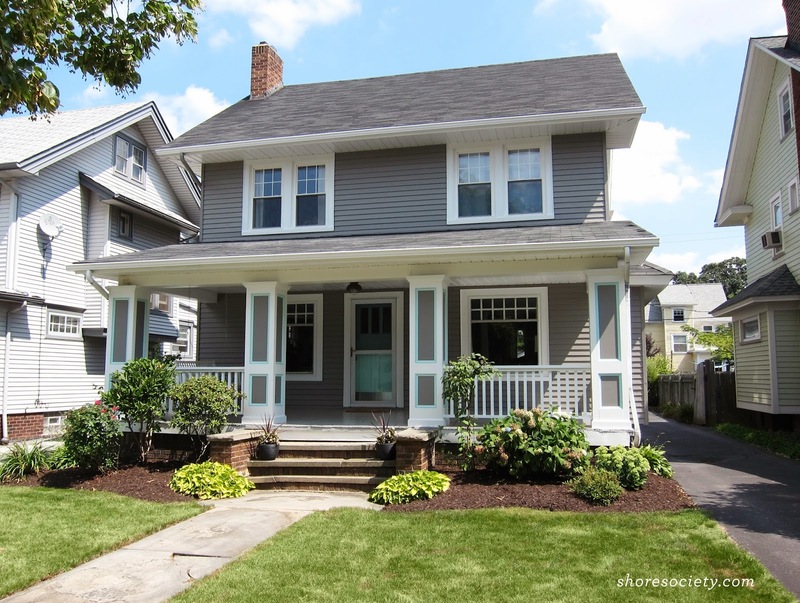 Look at your adorable house! I LOVE the two-tone paint effect. 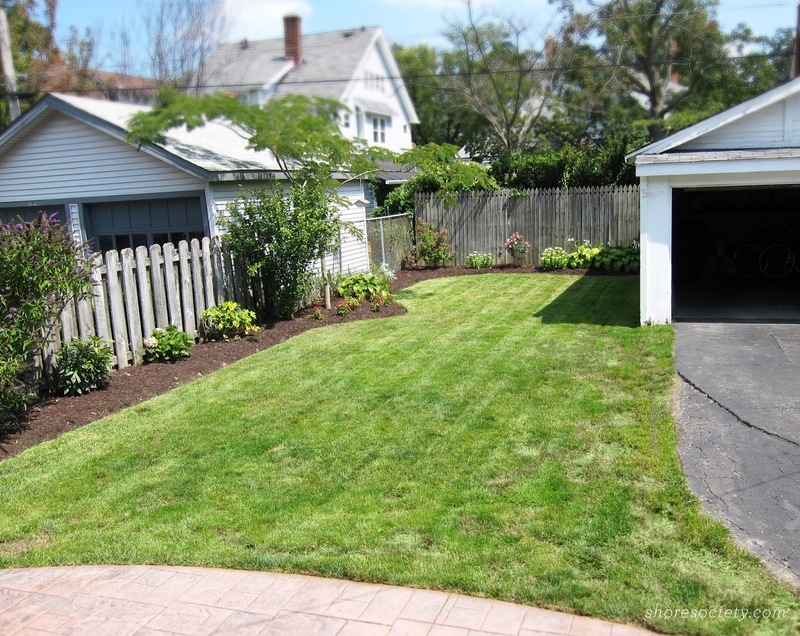 And nice job on your backyard - I did a landscaping project of similar magnitude to my former house in University Heights, so I have complete respect for the work it took to get to those results! Cheers to you. There's a light at the end of the tunnel! I feel your pain. Keep sending pics! You guys have done such a beautiful job with your house--I love it so much! Oh my goodness--this is absolutely gorgeous. You and Jim are so incredibly talented! Love love love and congrats! Talented, or maybe just crazy :) We definitely felt crazy attempting so much at one time. But it was great to get it all done! 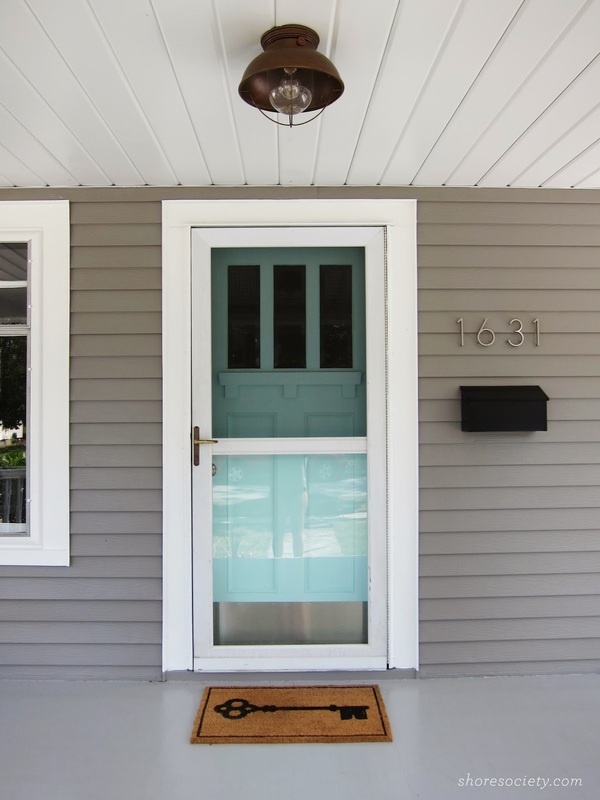 The front porch is a must! Luckily Cleveland is full of colonials with porches. We had a lot to choose from! Wow! This is gorgeous! I love your choice in paint colors. I think it would be nice & fun to paint the exterior of our home but not a necessity right now. I do have to paint some of the metal fixtures because they are rusting and under the windows the wood is peeling. We are due for a new roof in 2016 or so ... maybe at that time we will look into changing the exterior color scheme. We definitely wouldn't have painted the house if we didn't have to! Despite not liking the original color, the siding was chalky and needed more than just a power wash. Good luck with your roof! Really nice! Love the before and after. 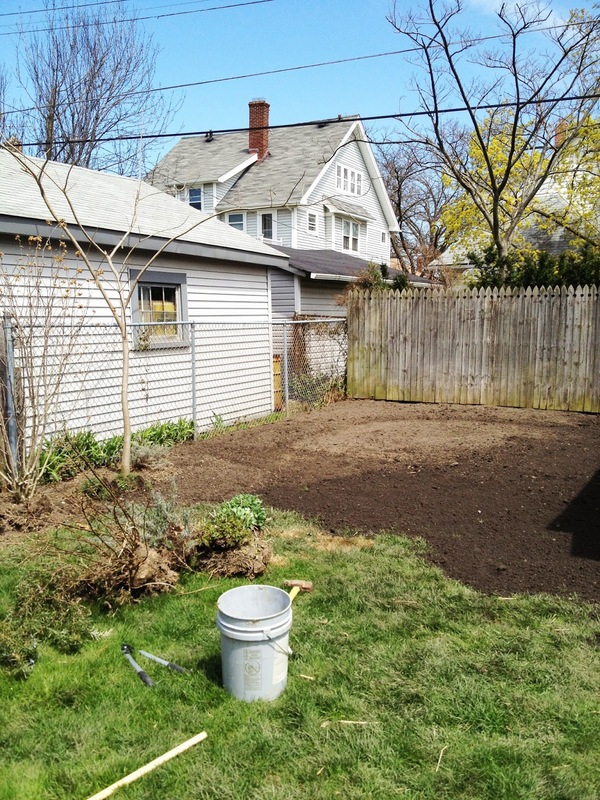 Especially love how the backyard was transformed. Well done Rachael. Fantastic! It looks like a completely different house. The yard looks great. I can't wait to own my home, so many possibilities. The possibilities are really endless – it can be overwhelming! But so exciting. Oh my god!!! This gives me so much hope! We bought our Lakewood home in September. So so soooo excited for spring to come so we can start out outdoor projects. Can't wait to start digging and planting. We have a nice unfinished deck just begging to be stained and beautified for drinks and backyard firepit adventures. Yea spring!! !